This is the filament I have the most experience with, on both good and bad. I purchased my first rolls 1.5 years ago. I had worked really hard for a long time and thought that I would reward myself with some prime quality filament so I stocked up on 10 rolls of all the colors I wanted! Up until buying from ColorFabb, I had only used filament from high quality vendors like Faberdashery, Diamond Age and Ultimachine. Given all the positive comments I'd seen from others I expected the same (or maybe even better?) from this Dutch vendor. I was wrong. Months of clogged extruders ensued. I wrote several polite emails with the support crew at ColorFabb and I have to say their support is really stellar. Nothing to complain about there. They told me that both the formulation & diameter had been off on several of the early rolls, and offered to replace all my rolls with new filament at no cost. That's pretty good service? Problem was - when I got the rolls, some of them were better but by no means all. Argh… I've paid almost 450 EUR for those rolls, I have to make them work! After a lot of testing & rebuilds of extrusion system on my Ultimaker, I came to the conclusion that the only way I could print with them was going far above the recommended 210C. Even then it would clog now and then if I tried to go too fast. Others at my hackerspace had similar experiences, but a friend using 1.75mm Colorfabb filament never has issues? My Ultimaker Original is equipped with a 100% original extrusion system and the only speciality is the added dual extruder & heated bed. None of these should have any effect on the printing. I solved most my ColorFabb problems by printing really hot and cooling the Ultimaker hotend down with an extra fan as I printed. If I tried to go anywhere near their official recommendation, the printer would clog right away. This worked so well that when I built my new printer, I was completely flabbergasted when I got similar problems here. The new printer had an E3D hotend that I had heard tons of positive feedback on. As soon as I added ColorFabb's PLA/PHA, the printer choked unless I printed at 20-30C above the recommendation. After a month of trying to solve the problem without using extra heat, I gave up. I then realised that my roll of Ultra Marine Blue didn't have a consistent color? The color varied quite a bit along the roll. I contacted ColorFabb and yet again they replaced the roll. Excellent service, and this time half the roll have printed nicely. Strange? The PLA / PHA combo has major differences from other vendors. One is the addition of PHA, another bioplastic. It is apparently this that gives this PLA it's shine and makes it less brittle than other PLA. I'm by no means an expert on bioplastics, but there is something that makes this PLA/PHA mix more prone to stick to the inside walls of the extruder. Most often, you'll pull this buildup out with the filament after a blockage, but some will remain and must be removed with the "Atomic pull" method. I've learned that most industry players use PLA from NatureWorks. ColorFabb buys their PLA from FKuR Kunststoff in Germany. I dunno what to say other than that it has some other (and less desirable) properties than the NatureWorks PLA. ColorFabb did however tell me that they only use NatureWorks PLA in their transparent PLA filaments and sure enough - it performs a lot better. ColorFabb says that the printer settings may vary (even among the same model) and that their recommendations can't work for everyone. 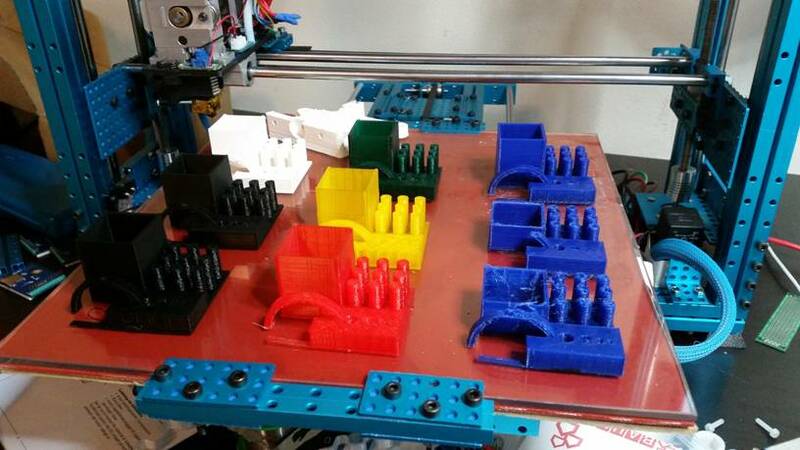 I must say that I find frustrating to hear that from a vendor when all my 3 printers (PrintbotJr, Ultimaker Original, BAMM) as well as friends printers need to go to the same high temperatures to extrude it well. What makes this even more frustrating is that companies like MadeSolid publish guidelines for lots of printers and these worked for me right away? I am now printing successfully with PETG from MadeSolid, PLA from Faberdashery, some really old ABS from Makerbot (back when they made 3mm filament), ABS from Protoparadigm, Proto-pasta's carbon fibre infused PLA, 2 year old PLA from Diamond Age, NinjaFlex, PLA/ABS/flexible rubber from PlastInk, PLA from Ultimaker and even Taulman 618/645 Nylon. Not a single blockage with any of these, but as soon as I insert the PLA/PHA mix from Colorfabb, my extruder will clog up. How fast this happens will vary, but I can't trust it for longer prints. They're so different that you'd think it was printed on two different printers? This really is a shame as my two black rolls of PLA/PHA (made the same month!) will produce great looking results, even at fairly low temperatures??? I have completely given up on ColorFabb and it's a shame as they make so many cool things such as WoodFill, CopperFill & BronceFill. I just can't afford to spend more time on it as I've easily spent more than 100 hours cleaning out nozzles, solving clogs and failed prints. That's bad for business and not what I'd call "production quality". It's simply too inconsistent. I have a "trick" of working with it that "sort of" works and that's doing 5-6 atomic pull's with Taulman 645 Nylon before anything more than tiny prints. I'm also printing at speeds far higher than I like (due to the mass of the 30x30cm heated bed). This causes bandings in the prints, but then at least I can use the filament rather than just throw it away. It'll still get me plenty of jammed nozzles though. Since MadeSolid now sells 15 different colors, so I'll get my PETG from them instead. 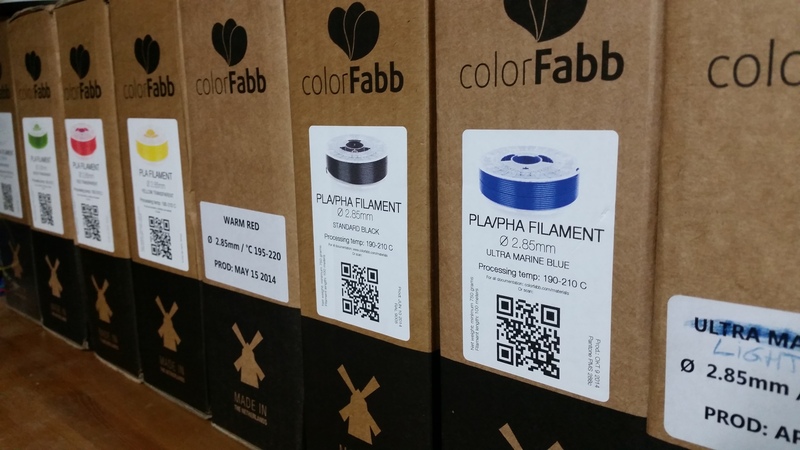 As for PLA - rumours say that Faberdashery will soon begin shipping their 28 different plastics on spools. I guess I might buy my xmas filament from them instead. Hi, i am experiencing many of the same issues you are. 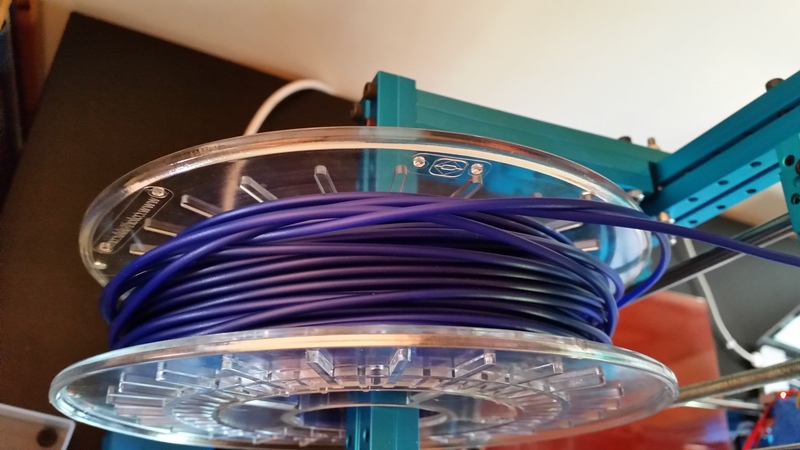 I bought an Ultimaker 2 in the beginning of December 2014 and got with it a spool of blue filament from Ultimaker. I also bought a lot of colorfabb pla/pha. I started out printing with the blue and everything worked flawlessly i could press the button and leave, didn’t even have to see the first layer laid down and be confident it would turn out great. Then i got tired of the color and wanted to try the colorfabb filament and immediately i got issues. Blockings just as you described. I also had some luck increasing the temps but suffered many fails. Switched back to ultimaker filament everything works again. There has to be something wrong with the filament, i can’t fathom what else it could be. I also can’t understand why so many people online praise the brand, have i just drawn the short straw and gotten bad filament?? 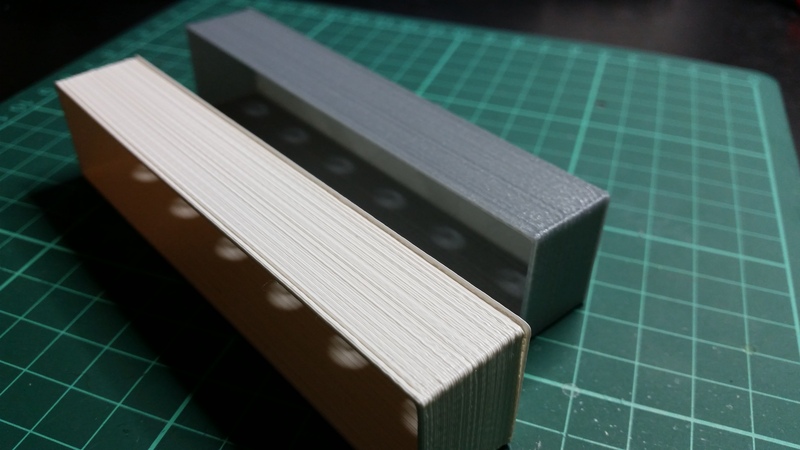 I just remembered - my friends at 3D Verkstan has a great guide for doing cold-pulls on Utimaker printers: http://support.3dverkstan.se/article/10-the Might be useful for you? I am vel versed in the “atomic method” by now! I bought my printer from 3D Verkstan and i am working with them to solve the issue. But since the printer worked absolutely flawlessly with the ultimaker pla and keeps jamming with colorfabb pla/pha i have little hope but they(3DVerkstaden) are very helpful so it’s worth a try! I’m having similar problems with colorFabb white PLA/PHA. I also have a spool of red which prints better than the white, but not as good as many other filaments I’ve used. I got to the point where I was certain that I’d received a bad spool of their white, and they were nice enough to replace it very quickly. Unfortunately the second spool is no better than the first. I also picked up a spool of BronzeFill and it’s awesome. No printing issues whatsoever. I wouldn’t hesitate to buy another spool. I also plan on trying out the CopperFill soon. My old spool of translucent colorFabb XT is also very reliable. In my experience it is just their PLA/PHA blend that’s a problem. It’s very disappointing because I’d been led to believe that their PLA/PHA was nothing short of amazing. . . . Maybe it is when dialed down perfectly, but it’s way too fickle for me to keep wasting my time with. bought my printer from 3D Verkstan and i am working with them to solve the issue. But since the printer worked absolutely flawlessly with the ultimaker pla and keeps jamming with color pla/pha i have little hope but they are very helpful so it’s worth a try!!! I swapped out the teflon insulator which sits right on top of the hot end on the ultimaker 2 for a new one and now it prints absolutely perfect with pla/pha. There was a little cavity in the bottom of the teflon piece that would fill with plastic probably if the heat would follow the pla up just a cm and expand into the cavity and harden making the filament jam. I have tried at least 3 different colors all pla/pha from colorfabb and no missteps of any note! Even the “Warm Red” which i had struggled the most with! Really good to hear you had success with the BronzeFill Chris, because i have already bought a 1,5kg spool and have been too afraid to use it! But now that my issues seem to be gone i guess i can use it with confidence! @kulwinder Yeah. 3D Verkstan are really good guys. Great service. I keep sending them new clients as for most users, an Ultimaker 2 is the most problem free machine there is. I do wish they didn’t recommend Colorfabb’s PHA filament though.